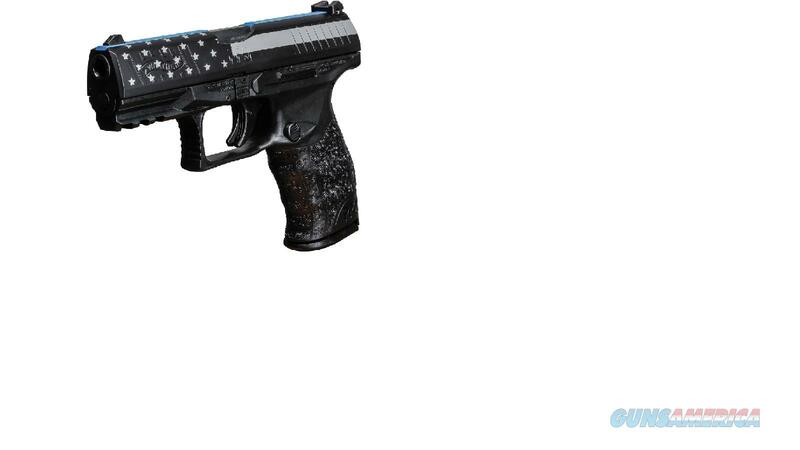 Description: Walther PPQ M2 semi-auto 9mm. Factory New in box. Ellett Brother Exclusive. 4" barrel. Comes with (2) 15+1 round magazines. •USC Exclusive Pistol •Walther Arms, Inc. has teamed up with United Sporting Companies to show support for Law Enforcement nationwide, & together a donation of $20 will be made per Blue Line PPQ sold •Matte Black finish with blue & gray accents •Tenifer™ coated slide & barrel •Striker fired, blowback action •Quick Defense Trigger with smooth 5.6 lb. pull •Walther Signature ergonomic grip with non-slip cross-directional grip surface •Interchangeable backstraps (Small/Medium/Large) •Front & rear slide serrations •Width: 1.3" •OAL: 7.1" •Wt. : 24.5 oz.